Though brother in law’s are connected by relation not by blood but if you care him as your real brother then the word in-law will never stands between both you. Whatever he is your sister’s husband, wife’s brother or husband’s brother let him know that you care him as your close one. 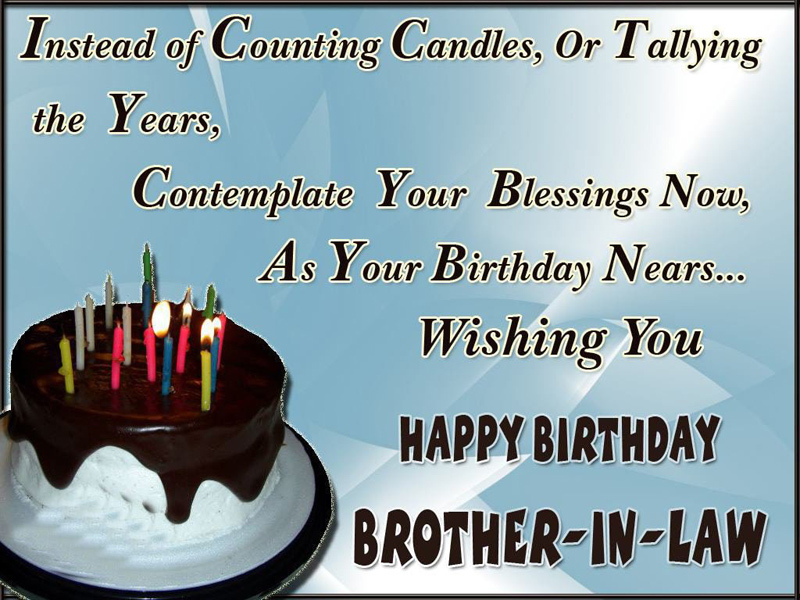 Also, these happy Birthday Wishes For Brother In Law and best B’day messages will make your task easy to wish him on his birthday. 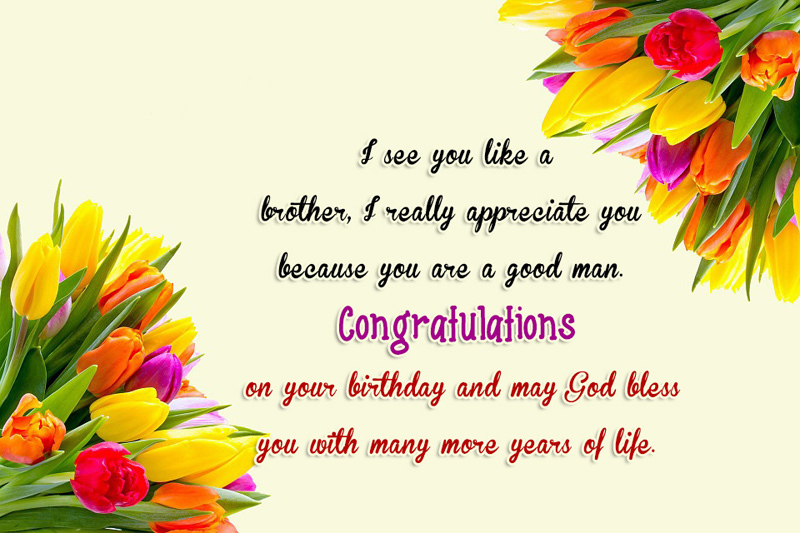 You may send these birthday messages for brother in law in a birthday cars or via social media which you prefer. May your day be filled with gifts, hugs, food, laughter and love. May you continue to be a blessing to others. May you have a long and peaceful life. Happy birthday! You are my wife’s sister’s husband but that doesn’t stop me from calling you a brother of my own. Happy birthday. You are a year older, But I hope you will stay as jolly as ever. Happy birthday to you, my dear brother. We may not be related by blood, But you are truly loved. Happy birthday to you, my dear brother in law. I really admired how you proved to our dad that you do love our sister. I admired how you exert a lot of effort to our dad accept you. When I grow up, I want to be a man just like you. Thank you for being a role model, bro. happy birthday! Not everyone gets to celebrate their birthday so, get dressed and let’s celebrate for this is a once in a year occasion and you do not go out that much. Happy birthday to you, dude! Everyone can be a brother to their siblings. But it takes a man of character and generosity to be a loving brother to his in-laws. 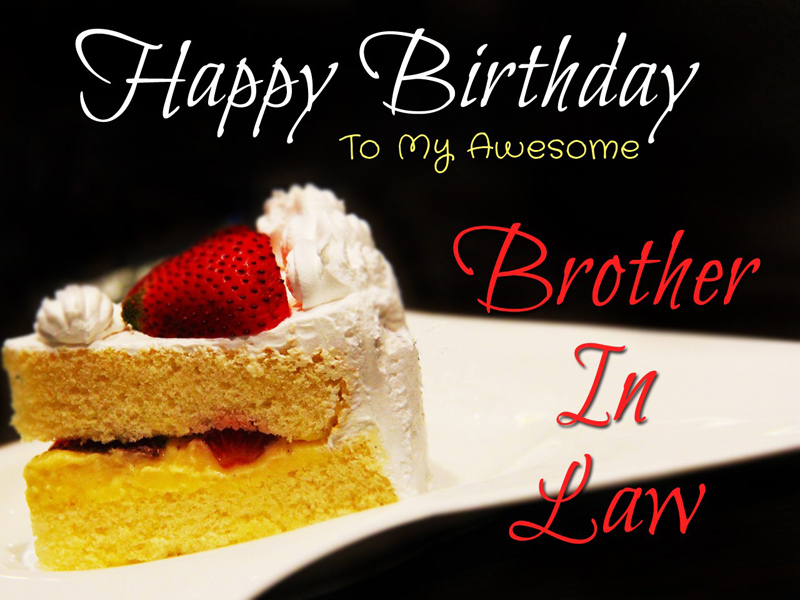 Happy birthday to one such brother-in-law. You have been a really good man, taking care of my sister and of my parents. We are really thankful that you are there when we can’t be around. I wish you all the best on this one more year added to your life. Make it memorable, make it worthwhile. Happy birthday! Happy birthday, brother! I hope you know how much your sister admires and respects you. You are one of the greatest men I know. May this day be cheerful and sunny for you. Enjoy your day! Brothers can come in many different ways. You become one through law but honestly I can really call you a brother with how great you have been. Happy birthday! Happy birthday to the man who is less of a brother-in-law more like a brother-by-blood. Today, I want to thank you for all the special things you do, your loving and caring ways, and your patience and kindness. Thanks for being a wonderful brother-in-law. May you have many more birthdays to come. Happy Birthday brother in law. Thank you for the protection. You make me feel safe; I can trust you with my own sister’s happiness. I hope you have the best birthday ever. Happy B’day! You are one of the few very special people whose birthday I can remember without a reminder from Facebook! I’m proud to call you my brother-in-law, because I know that I can always rely on you! May you have a great and joyful day today, happy B’day! My brother in law, you are an incredible person with a big heart. I wish you a great year of success and happiness. Happy birthday! My brother-in-law, you are a true surprise in my life. I was not expecting you to be as accepting and cool as you were but I cannot thank you enough. Happy birthday! Happy birthday to a great friend. You are truly a special person as you have become part of my family. Thank you for being a great person. Happy birthday brother in law! There are many jokes made on in laws but you have been nothing but a class act. Thank you for being such a great guy and thank you for showing patience with us. Happy birthday my brother. Our families have joined due to a marriage but I have no hesitation toward inviting you into my family. I wish you a great year and a great friendship. It’s your birthday, my beloved brother-in-law! Here’s wishing your celebration brings lot of special moments to remember! May you be blessed with luck, love and whole lot of happiness! You make me complete, you make me happy you make me feel alive. You are the most wonderful person in this lifetime and hope you get the best. 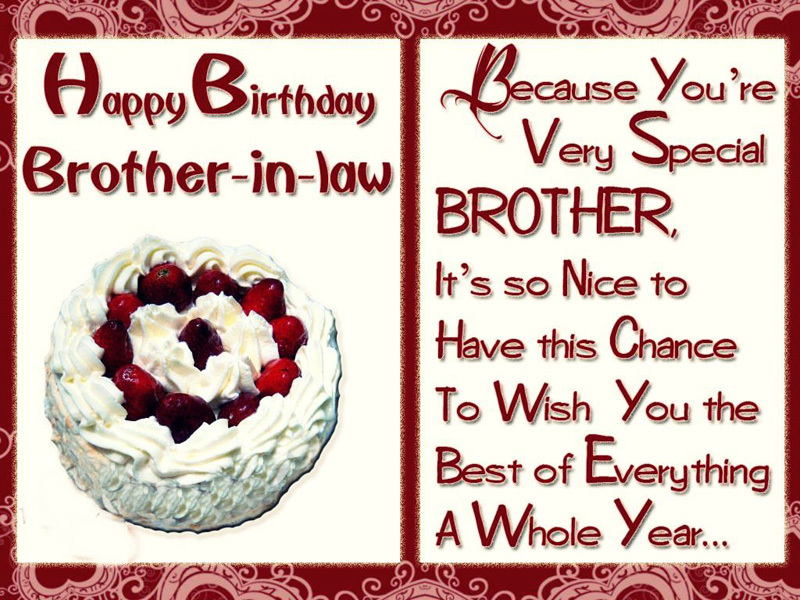 Have a great birthday, dear brother-in-law! I hope you have a wonderful day and that the year ahead is filled with much love, many wonderful surprises and gives you lasting memories that you will cherish in all the days ahead. Happy Birthday brother in law. 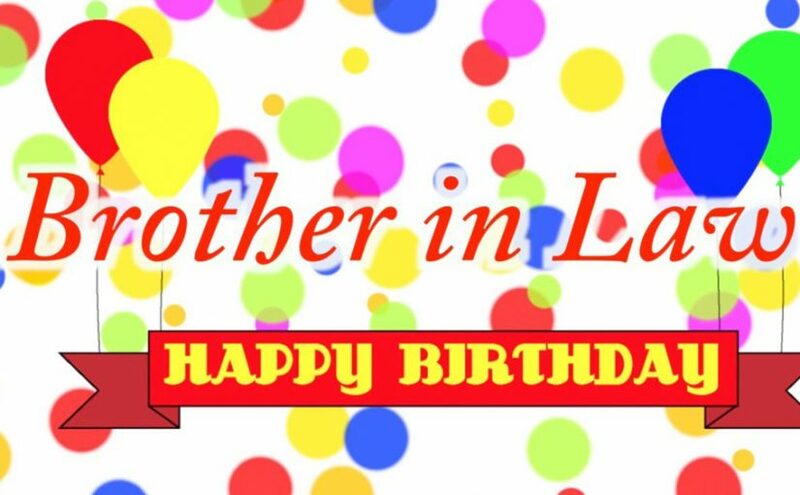 Dear, we hope that by reading these birthday wishes for brother in law already you have the ideas what to write in a birthday card or messages for brother in law, hope you have enjoyed this post and thanks again for visiting us!